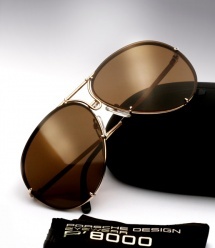 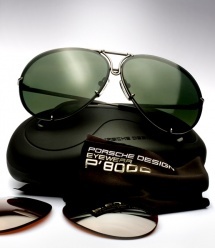 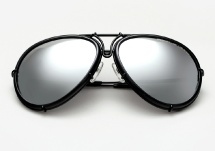 Porsche Design is responsible for some of the most iconic sunglasses ever made, seen on a who's who list from the rich and famous to the infamous during the 1970's and 80's. 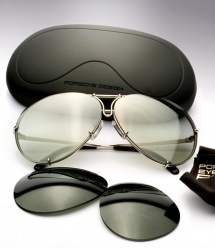 To pay tribute to the most groundbreaking models in their history Porsche Design Eyewear has released their "Heritage Collection". 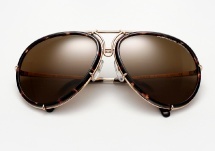 The new collection re-issues the most notable of their sunglasses but revamps them for the 21st century with top of the line materials. 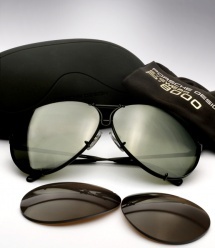 The same iconic styles that have gone out of production get a serious upgrade with materials such as super light weight and strong, anti-corrosive titanium, as well as light weight shatter proof polycarbonate lenses.